Aniar IT Services can do several things for any business, whether you are a startup or an established company that’s moving or expanding. Our consultants are trained IT professionals; and, as a result, they can work with you to plan an efficient (and connected) use of your available space. Choosing your Internet service provider - Having the necessary bandwidth to meet your business’ needs is crucial to its ability to run efficiently. If your new place of business needs to be rewired it could take up to a couple of months for it to get completed. At Aniar IT Services, we have good working relationships with several area ISPs, and can make sure that when it's time to move in to your new building, you’ll have access to the bandwidth you need. 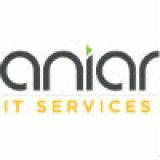 At Aniar IT Services, we provide the kind of technological expertise and vendor management services that make us a perfect partner for a rapidly growing company. Call us at 094 90 48200 today to talk to one of our knowledgeable consultants about how we can help make your transition easier.